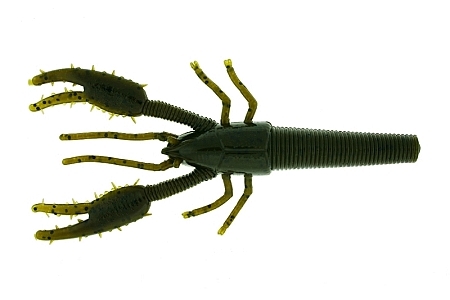 The 4.5" Tiki-Crawdude is one of the most realistic craws on the market. 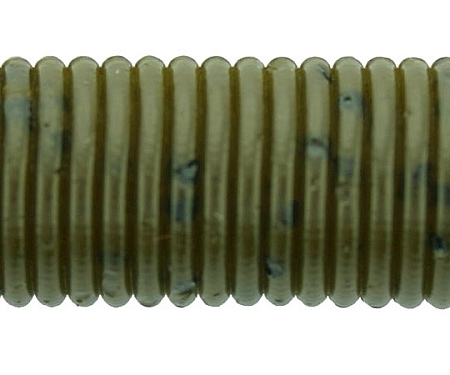 This crawfish style bait is designed to be the ultimate Texas rigged flipping bait. I bought a pack of these years ago and now these are the only crawdad I'll buy. I always fish my plastics weightless because of all the moss and grass around here. These sink flat which make the pinches flap as it sinks. The shape is great for pulling through the grass and coming out clean. One of the best advantages to this lure is its length. With a size 4 wide gap hook, you can cut some of the tip off when it gets worn and rehook it. Saves you time and money!! These guys have made me money in local tournaments!! Get a pack and you'll be hooked with in a few casts. I could not keep the small mouth bass off the hook with this product. Cast, sink small twitch and wham! This plastic has some really great action and hits hard while jigging along ridges. Great job guys!